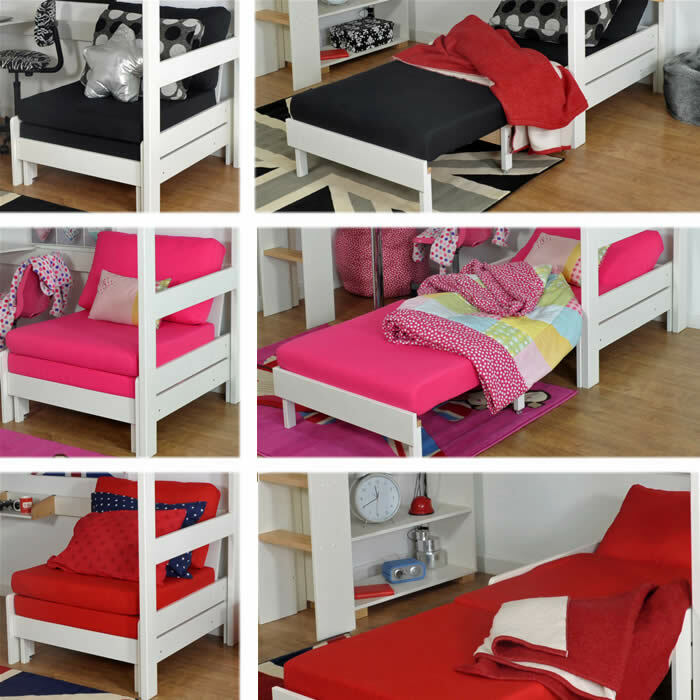 The Kids Avenue Urban high sleeper bed set 5 in white finished solid pine and natural birch includes a 2 meter pull out chair bed, reversible desk, high shelving unit and TV support bar. For guest use the Urban chair bed offers a comfy nights sleep and a great place to sit and relax. 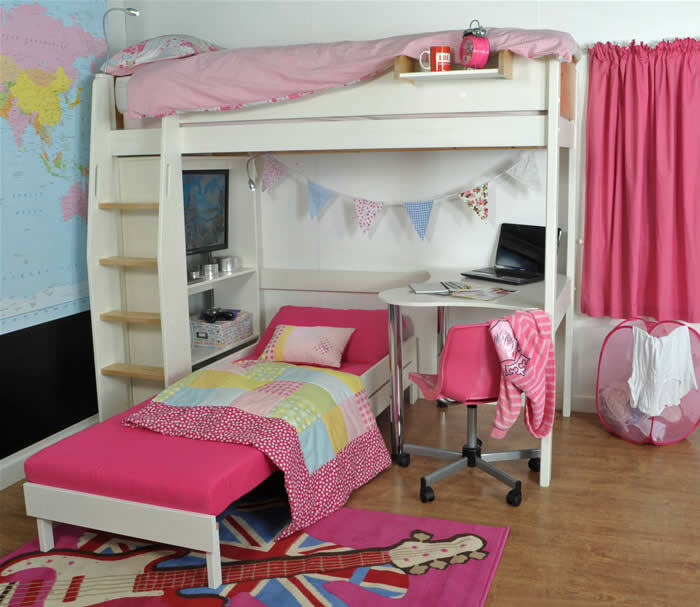 To fit a variety of bedroom layouts the Urban high sleeper has a sturdy four step ladder which can be positioned to the front left or right sides of the bed. 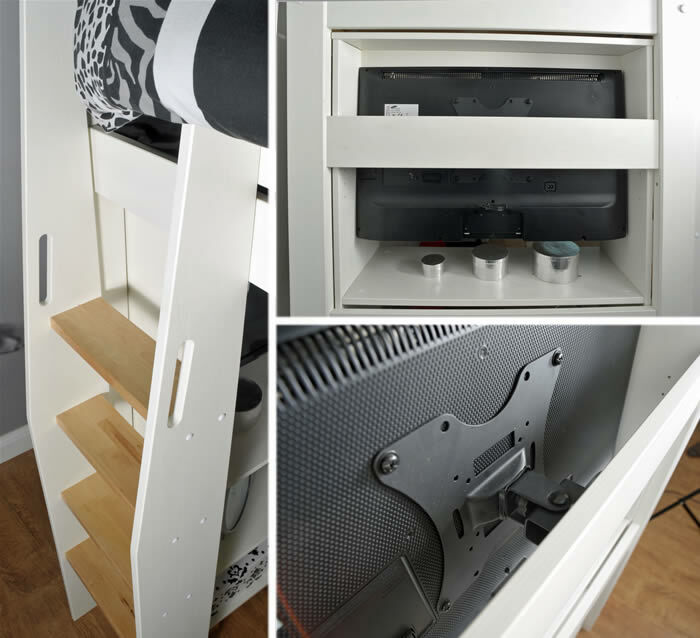 If your child has a flat screen TV it can be mounted to the under bed support bar with the use of a TV to wall mount bracket which is not included.